Notes To Friends - No Stamp For Your Letter? No Need To Leave The House! 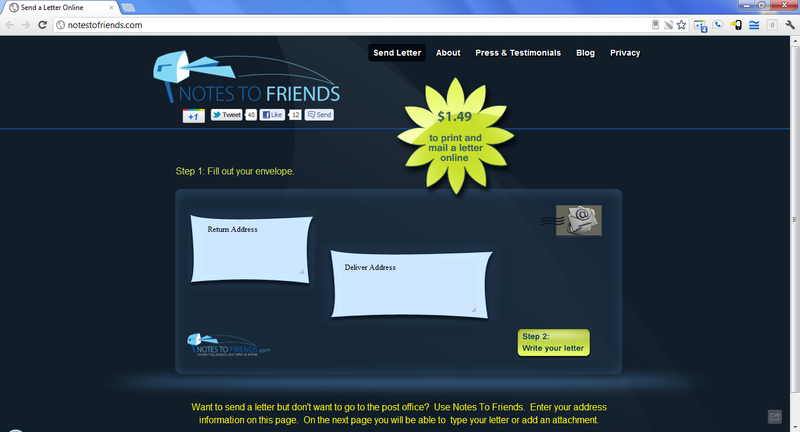 Notes To Friends charges $1.49 to print and mail your letter. Never leave the house again!